The right guest speaker can get even the most grumpy teenagers to sit up straighter, lean in, and maybe put in a little more effort into your class. The best part? Many presenters will come to your class for free, will require low/ no prep on your part, and will lend their credibility to what you're currently teaching. 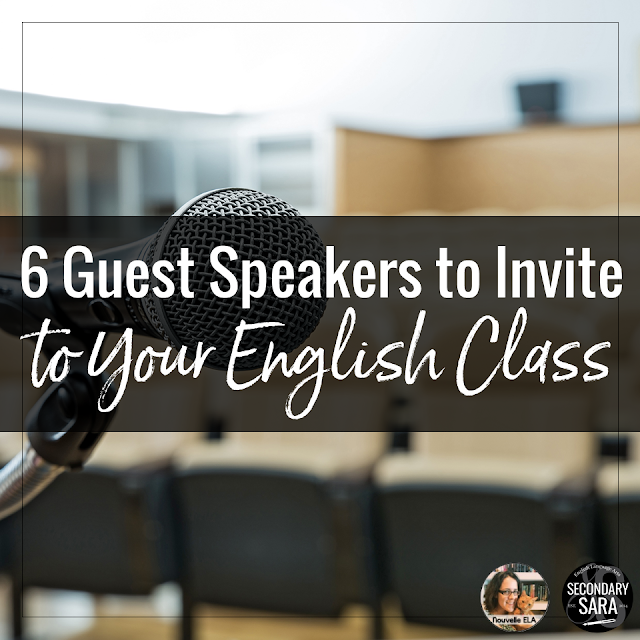 Especially in the older grades, it's still important to invite any of these six types of speakers to your classroom, where they can add inspiration beyond what even the most talented teachers can do alone. Writing with me today is Danielle from Nouvelle ELA. Sara: When done right, these presentations do more than just give a “Career Day” feel, in which they simply summarize their jobs or fields. Bring in adults who can talk about ELA skills specifically, highlighting how they use speaking, reading, and/or writing at work. Conveniently, I have friends and family with careers that relate to the topics I teach, so I asked them to Skype or visit us. For example, one of my best friends spoke about editing when she worked for a publishing company; my father (a businessman) talked about workplace writing; and my mother (then the mayor of my hometown) presented about speechwriting and public speaking skills while we were prepping to give our own mock TED talks. Their authentic stories, pictures, and advice resonated way more deeply than if I had taught the topic solo. 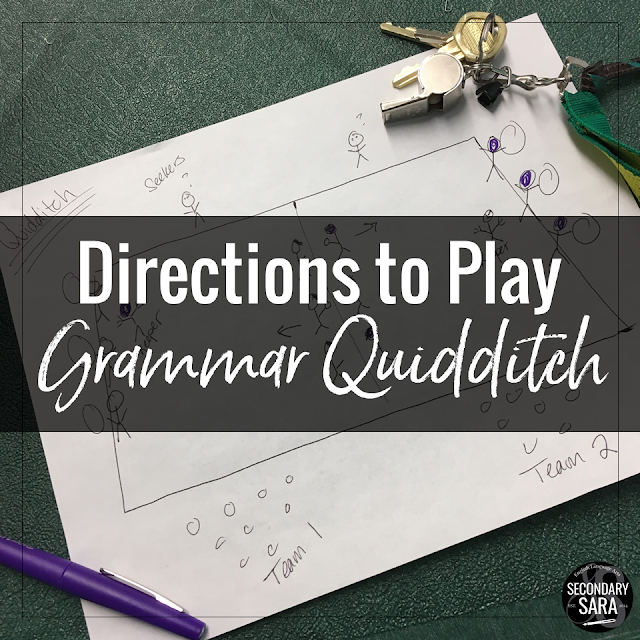 Sara: I’ve either led or assisted with all of the author visits in the past six years to varying extents, and they don’t HAVE to be complex or expensive experiences. In fact, sometimes it’s best to keep it simple, not over-schedule the day, and build in time for the author to be authentic with students. For example, our author usually eats lunch with my creative writing team, so that she can hear about their work and give writing advice in a relaxed setting. Some authors come fully prepared to occupy every minute with a presentation, and for others, all they wanted was students to come prepared with questions. For example, Linda Gerber did a fantastic forensics talk to explain how she puts science into her YA mysteries, and Jennifer Maschari led an awesome creative writing activity about constellations that connected to her novel. Both were pleasant to plan with and came prepared to teach. Danielle: Like Sara, I love bringing authors into my classroom! Last year, my students Skyped with Suzanne Young and Betsy Cornwell. Suzanne Young, author of The Program Series and Hotel Ruby, visited with us during our Dystopian Lit Circles. Even students who hadn’t read her book were able to ask questions and listen to her talk about her writing life (and theirs! ), her favorite books, and of course, her favorite TV series. Betsy Cornwell, author of Mechanica and Tides, Skyped with my enrichment class and my struggling readers were able to voice some of their theories for the Mechanica world. Students listed these visits as some of the “best lessons” on their end-of-year surveys. Danielle: Sara and I both LOVE teaching public speaking in our classroom, and we know that it can be challenging to get students on board. They’re nervous, or they don’t believe it’s useful. A great way to help them overcome nerves is to bring in some role models. Before my students give How-to Speeches, I have a few teachers from other subject areas come in and give an example speech. We’ve had the Health teacher demonstrate the Heimlich Maneuver (her student volunteer was a big hit! ), the Basketball coach teach us a drill, and a Science teacher demonstrate a magic trick. This sort of thing helps build a sense of confidence and motivation before beginning speeches, and it’s even better when you can bring those speakers back to be audience members for student presentations. 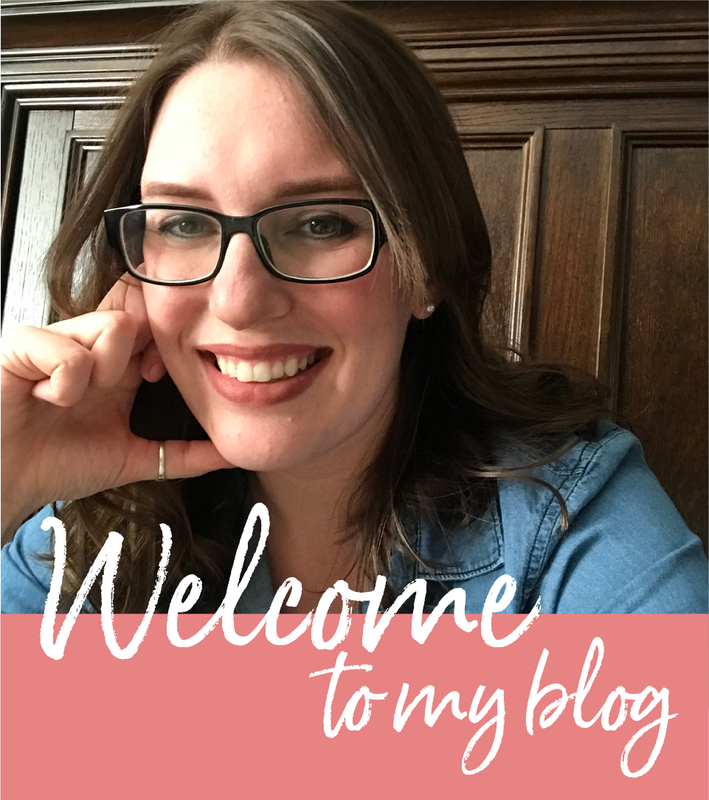 Sara: When I was teaching in a high school, I led a choice writing unit in which students could attempt any genre of writing they wanted (within reason), and I brought in guest judges from the community to give feedback on student writing. Those juniors put way more effort into their drafts knowing that actual authors, politicians, and businesspeople would be critiquing their work. Danielle: Students love it when they get to show off, and bringing in guest judges is a great way to “up the ante”. I routinely bring in other teachers and older students in the school to judge classroom activities or to enjoy presentations. When we set up the room last year for our Gallery Walk for their Night projects, students invited their favorite math and Spanish teacher to come give feedback on their projects. They were so excited to share their projects, and they listened intently as they received feedback from these mentors. Sara: I give a pretty good book talk, but librarians put me to shame when I invite them in to talk about titles. 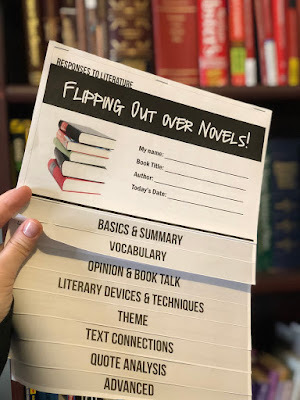 When I was having trouble getting my eighth graders to read enough nonfiction, my school librarian put together a collection to present to them, and it completely turned the tide of their ‘tudes against nonfiction. Likewise, our local public librarians will not only do visits (especially if it promotes their summer reading program), but they take pride in helping teachers curate lists of books for specific unit purposes. Danielle: I’ve been so lucky to have excellent librarians who can be guest speakers AND guest teachers. One of our librarians always helps me introduce students to plagiarism with an engaging presentation she’s got. She also loves conferencing with students about their research papers, and having this special audience really inspires them to work harder and smarter. Lastly, we have a librarian who has a theatre background, so she helps me bring drama into my ELA classroom. Sara: Yes, this counts! Don’t discredit the value of the RIGHT video for the RIGHT purpose. In addition to TED talks (which I’m obsessed with), I’ve also used a video of President Obama’s speechwriters talking about the process they used to collaboratively write and edit his State of the Union address. Danielle: During our Poetry Unit, we always look to seasoned Slam Poets to show us the way as we craft our own poems. We “invite” Sarah Kay, Marshall Davis Jones, and others to our classroom via YouTube. Like Sara, I’m also a huge fan of using TED talks throughout the year, both in order to teach content and as models for public speaking. I bring in Akala to talk about Hip Hop & Shakespeare, and I use Arianna Huffington’s speech on sleep as a model of an informational, yet engaging speech. These guest speakers allow us to widen the world of our classrooms, and teach our students more than we ever could alone. Guest speakers in secondary ELA also provide fresh perspectives and a change of scenery and pace, and are basically an awesome addition to any curriculum. Do you have more ideas? Tell us in the comments!